Brown’s® Roasted! 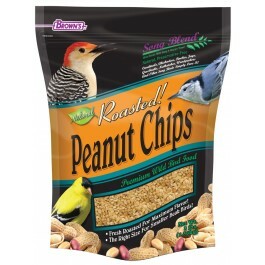 Peanut Chips bring out their maximum flavor and aroma to attract birds of all sizes. 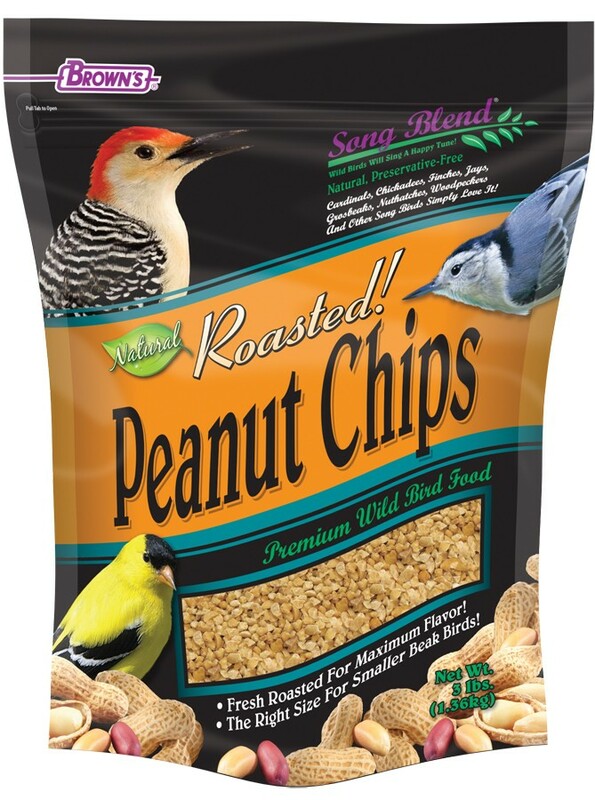 These savory peanut chips are smaller and “Just The Right Size” for small-beaked birds to enjoy! Because they’re high in fats and oils, peanut chips provide the calories, proteins, and energy that wild birds need. Peanut chips contain no shells, so there is no waste at your bird feeder. And they’re 100% edible, making them a more economical food choice! Add a feeder full of Roasted Peanut Chips any time of year and watch the birds go nuts! 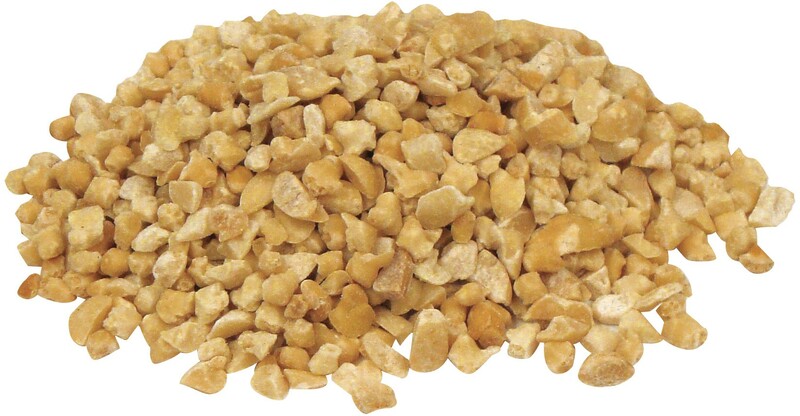 Roasted Peanut Chips can be offered in mesh feeders, platform feeders, and other specialty feeders. They can also be mixed into your normal wild bird food for a very special meal! • Cardinals, Chickadees, Finches, Jays, Grosbeaks, Nuthatches, Woodpeckers, and Other Songbirds Simply Love It!